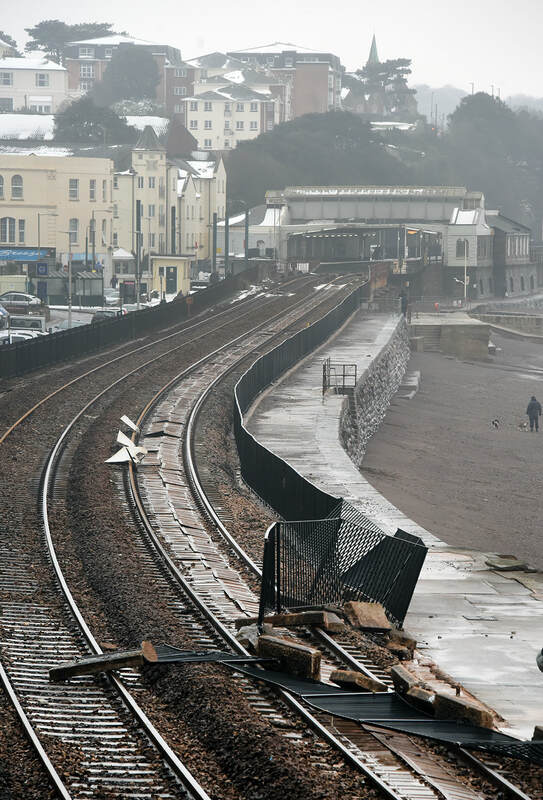 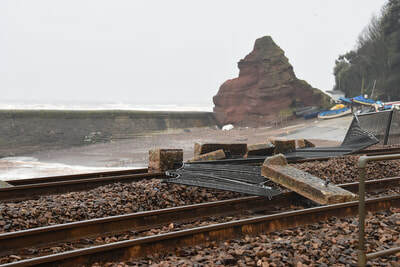 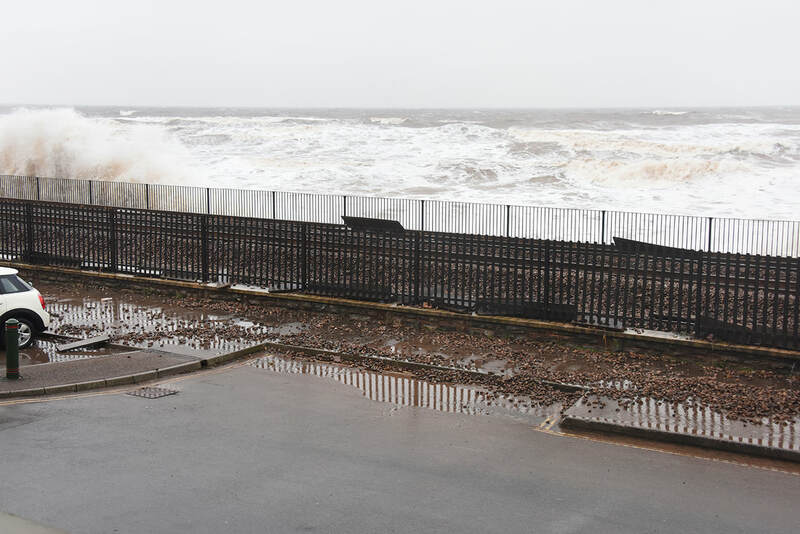 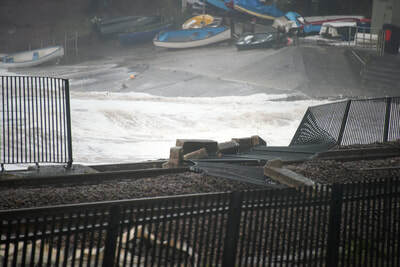 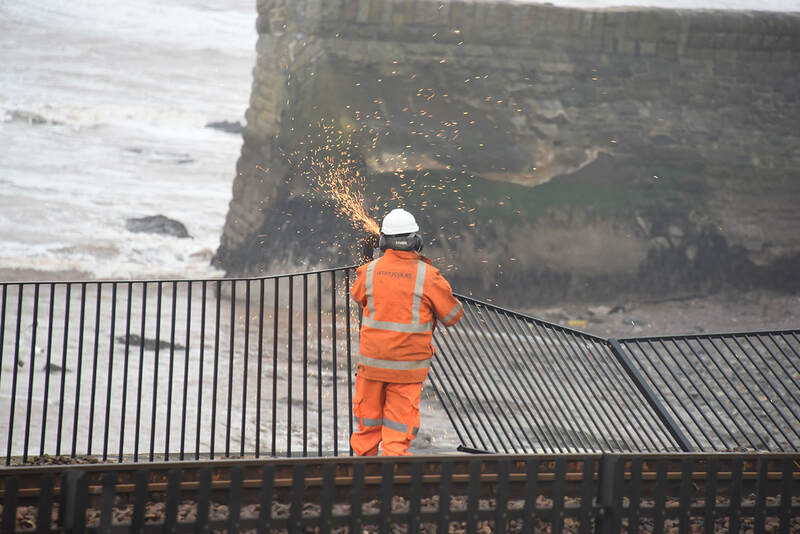 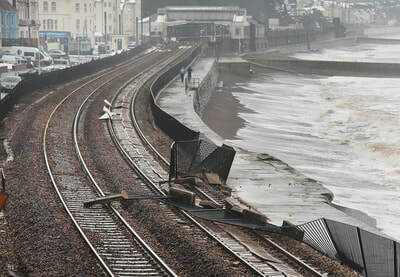 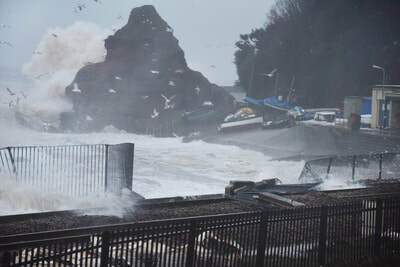 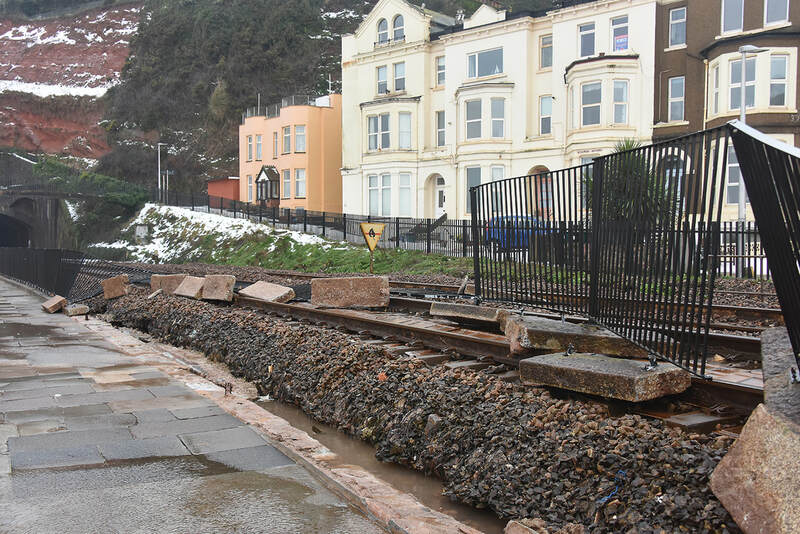 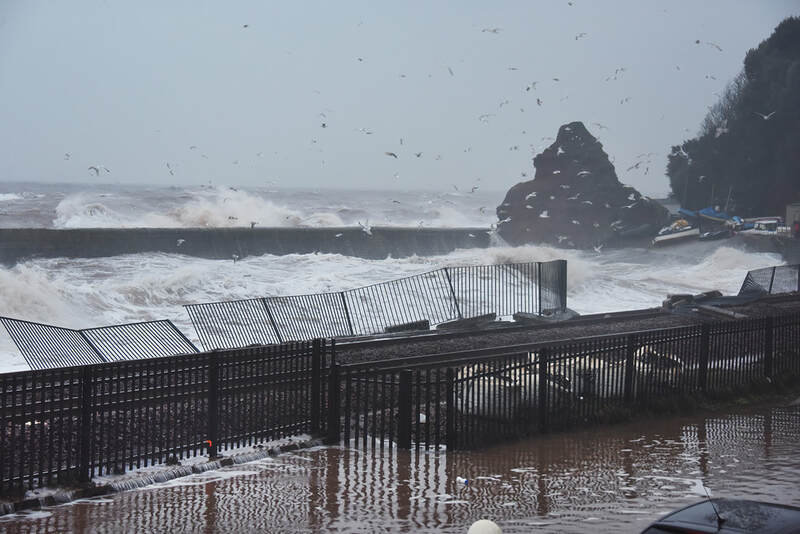 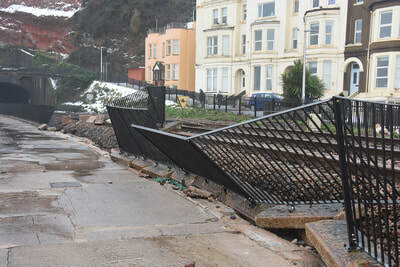 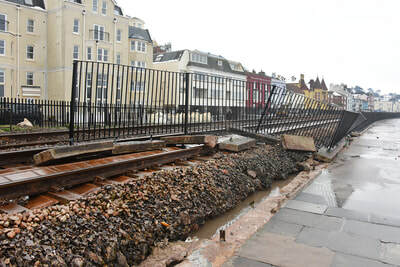 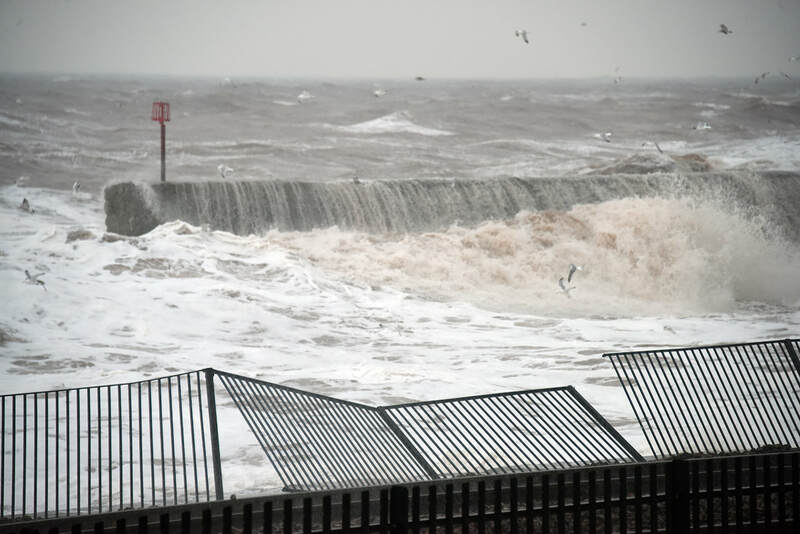 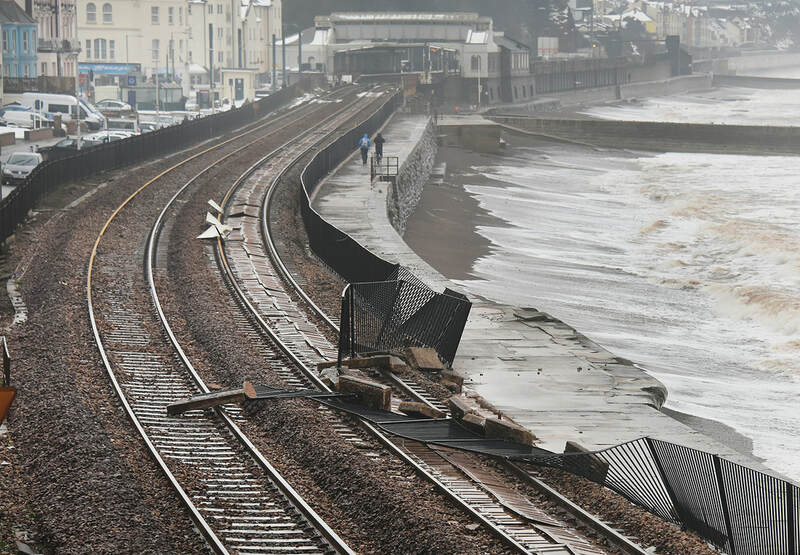 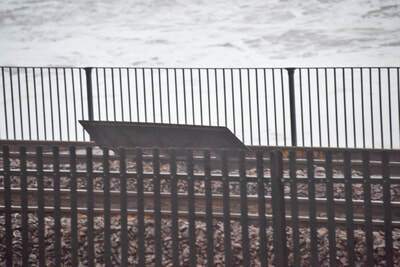 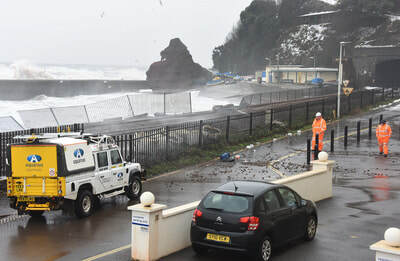 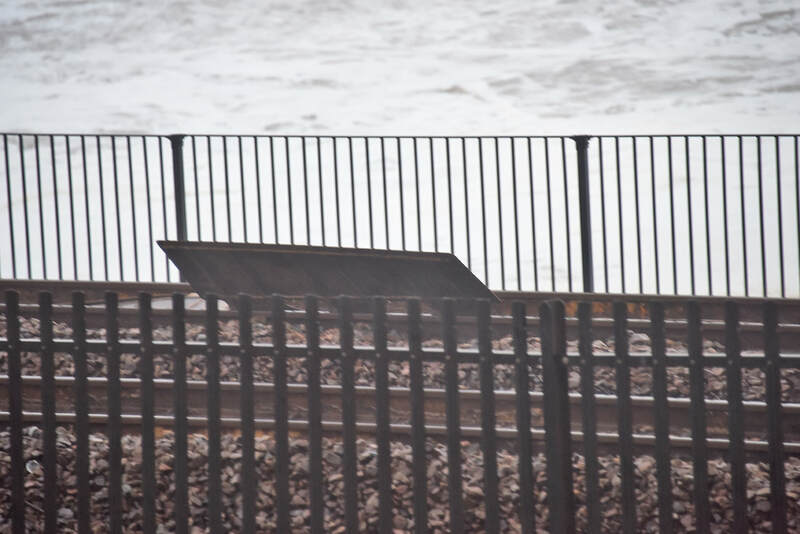 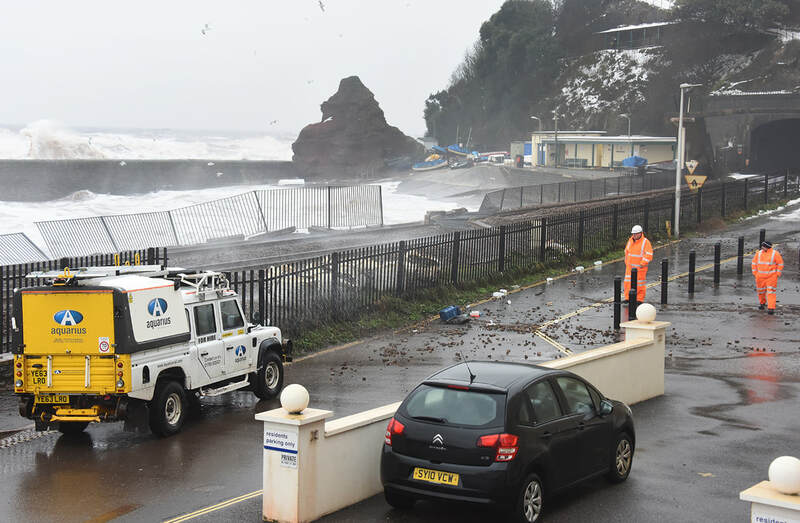 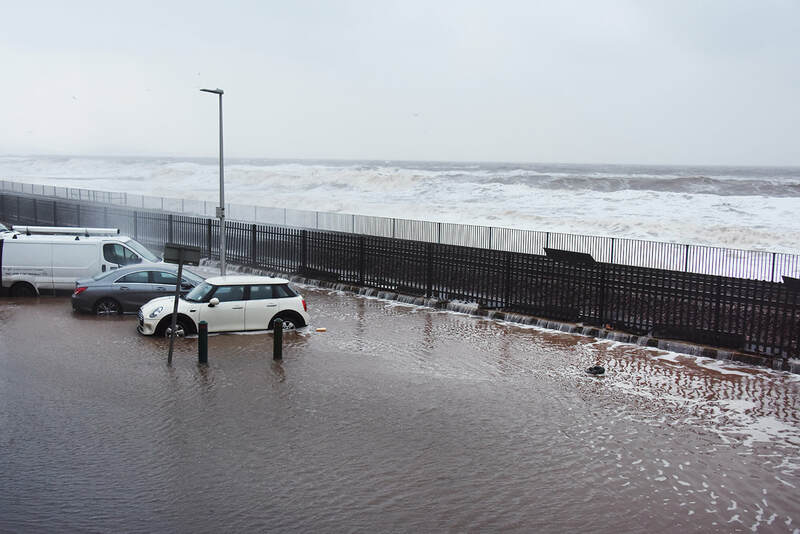 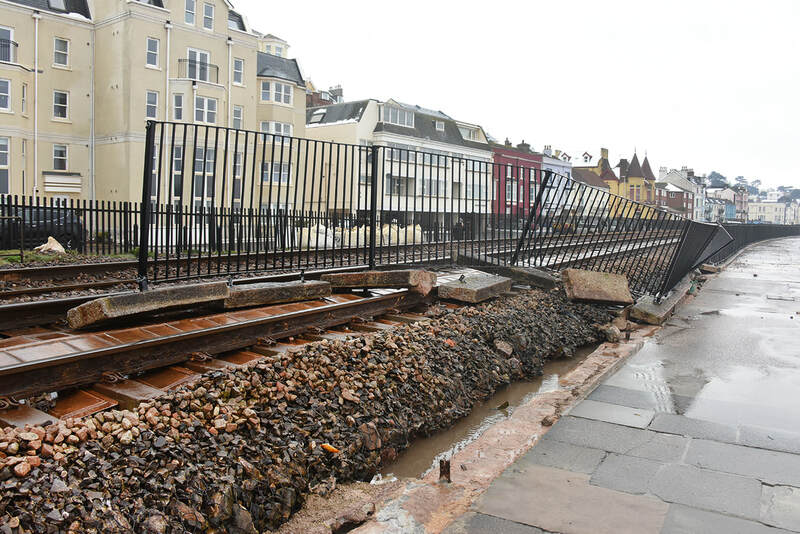 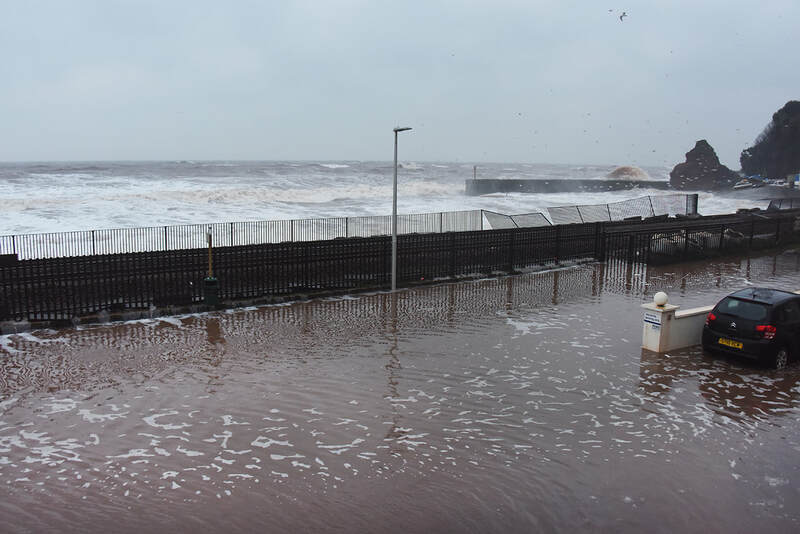 Overnight on 1-2 March 2018, Dawlish was battered by Storm Emma, whch saw a very rough sea seriously damage the walkway and railway between Dawlish station and Kennaway Tunnel. 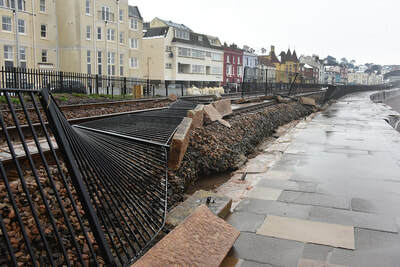 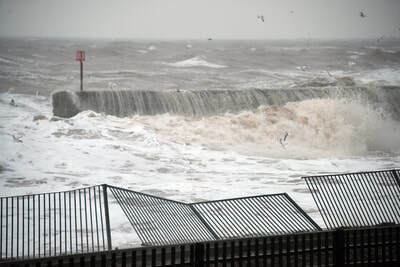 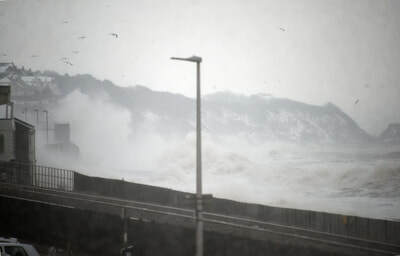 Around 06.00 the waves were at their height and ripped up the steel fence and stone base for around 30m at the Kennaway Tunnel end of Kings Walk. 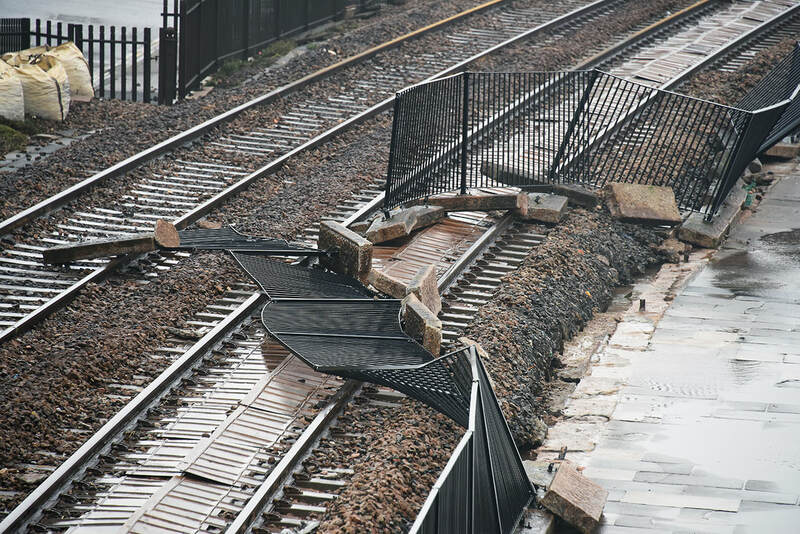 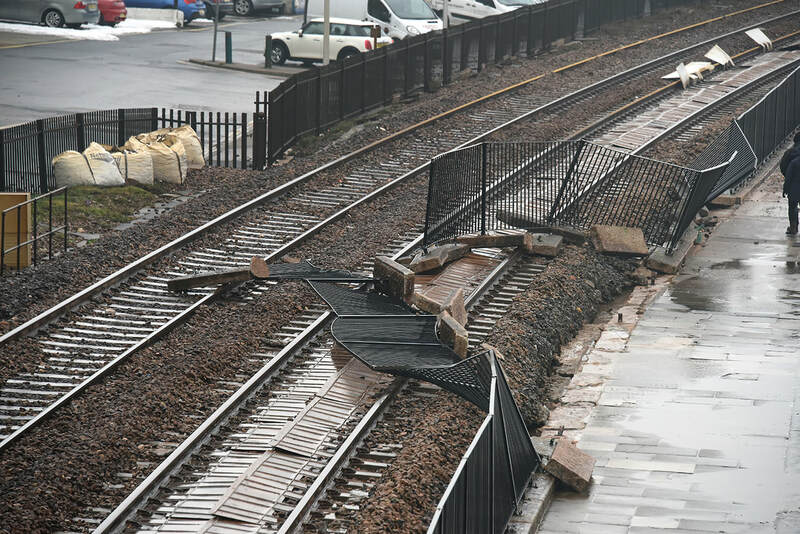 The fence and stone blocks were thrown onto the track. 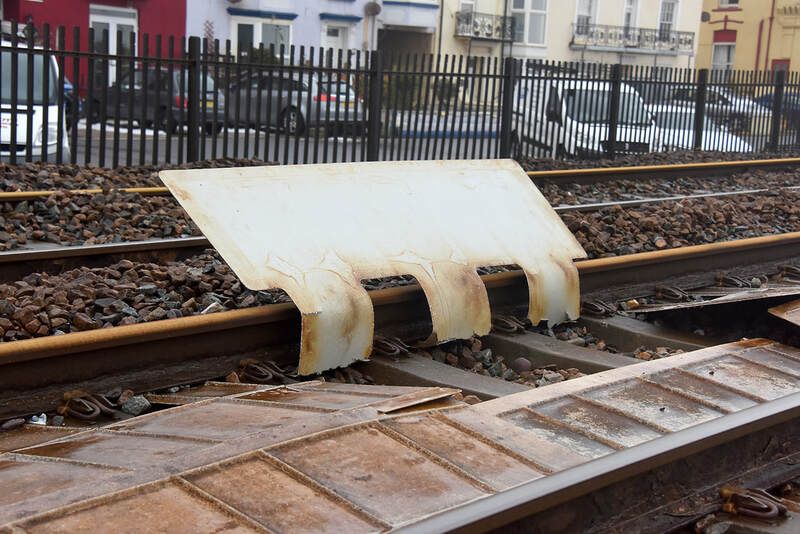 The storm also ripped up some of the fibreglass ballast insert boards in the track which reduce ballast wash outs. 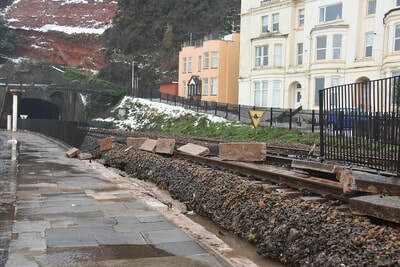 Several tons of ballast was washed from the railway into Marine Parade. 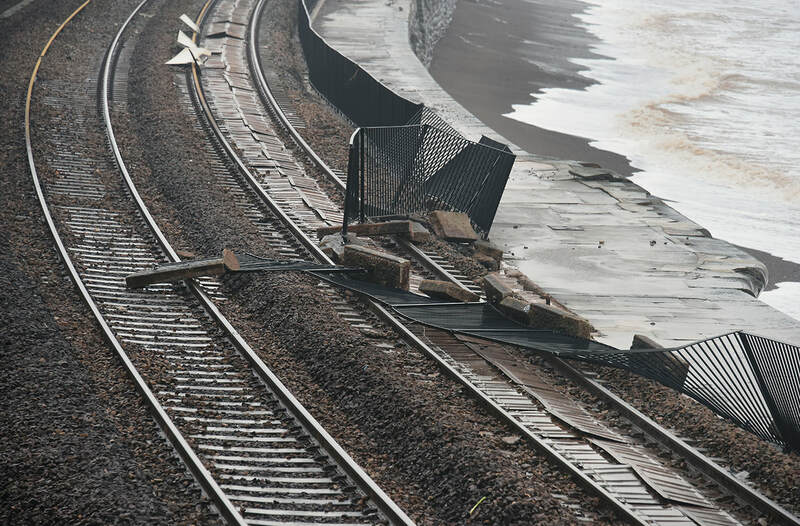 The concrete top to the cable trough located the Marine Parade side of the line was also ripped up. 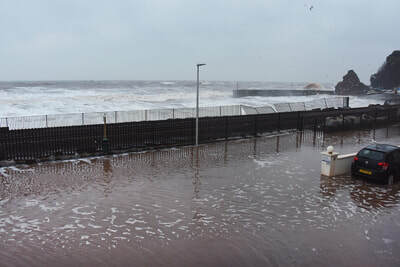 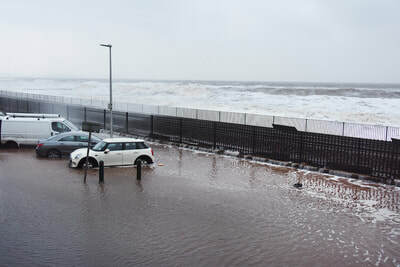 At the height of the storm Marine Parade was flooded to a depth of 12in. 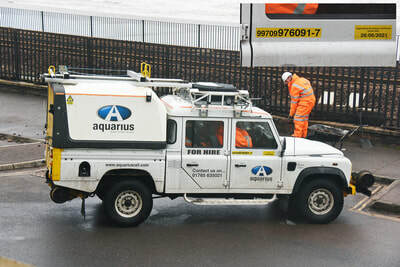 Network Rail and contractors worked all day to remove the fence and clean up the tracks. 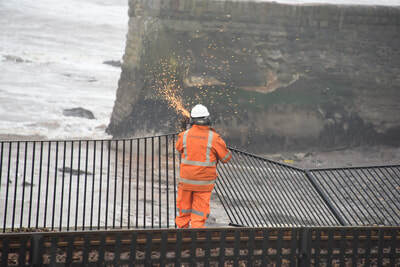 A new fence will be needed and other repairs made before the line can re-open, which is planned for between 24-36 hours. 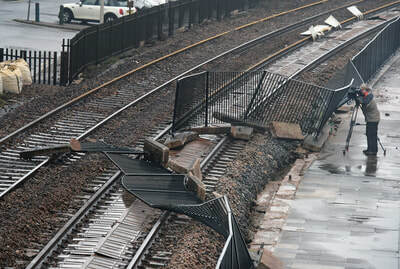 Some damage was also done to the downside station platform. 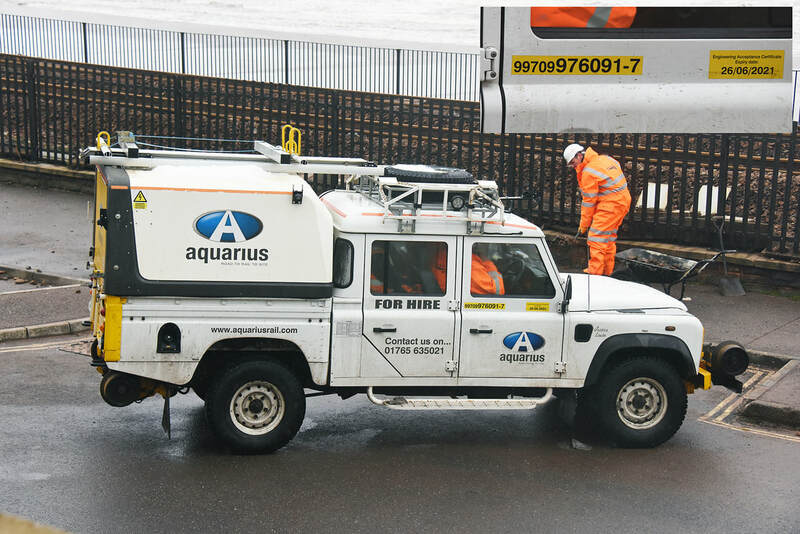 All repairs carried out after the 2014 wash out held well and no other damage was reported.